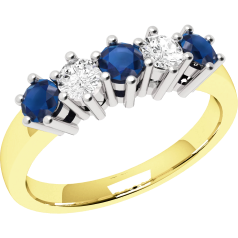 Possibly the most famous Sapphire – Diamond Ring is the engagement ring received by Kate Middleton from Prince William. 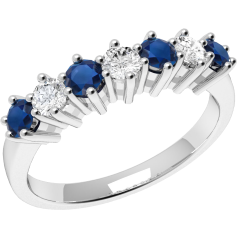 The ring was originally worn by William’s mother, the late Princess Diana, and it consists of 14 round diamonds surrounding an oval blue sapphire set in 18ct white gold. 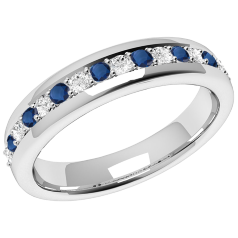 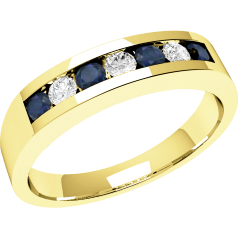 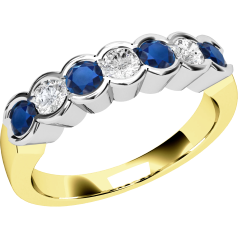 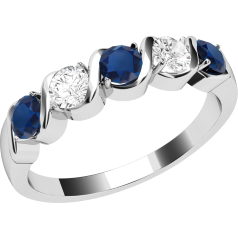 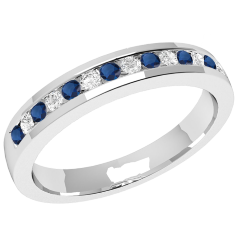 Scroll through our Sapphire Diamond Rings category, if you wish to have a design similar to this royal engagement ring. 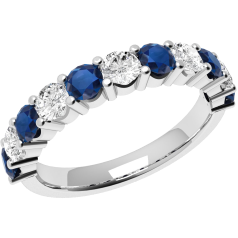 Sapphires symbolize wisdom, integrity, and strength, and set in an engagement ring a sapphire is the gem of faithfulness and honesty. 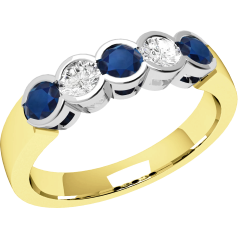 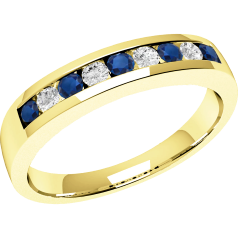 You can gift a Sapphire – Diamond Ring as a gift for the 45th wedding anniversary, or it can be a birthday gift for someone born in September, Sapphire is the birthstone for this month. We offer several designs from our other categories, in a sapphire and diamond version, thus you can find Sapphire – Diamond three stone rings, Sapphire – Diamond Cluster Rings, Sapphire – Diamond Eternity Rings, Sapphire – Diamond rings with shoulders, and Sapphire – Diamond Cocktail Rings.